Daily Whisper Cards are for quiet reflection. Sit outside in your favorite chair or inside where you find yourself at peace. Open the deck and look at the top card. Read it and feel the words. Let the verse wash over you and enjoy the loving whisper. 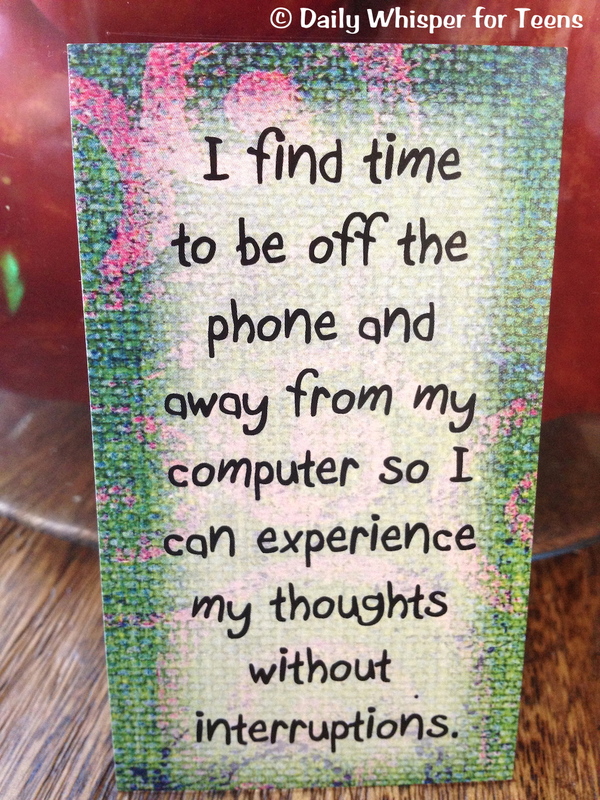 If you like, keep reading more cards and do this slowly and thoughtfully. 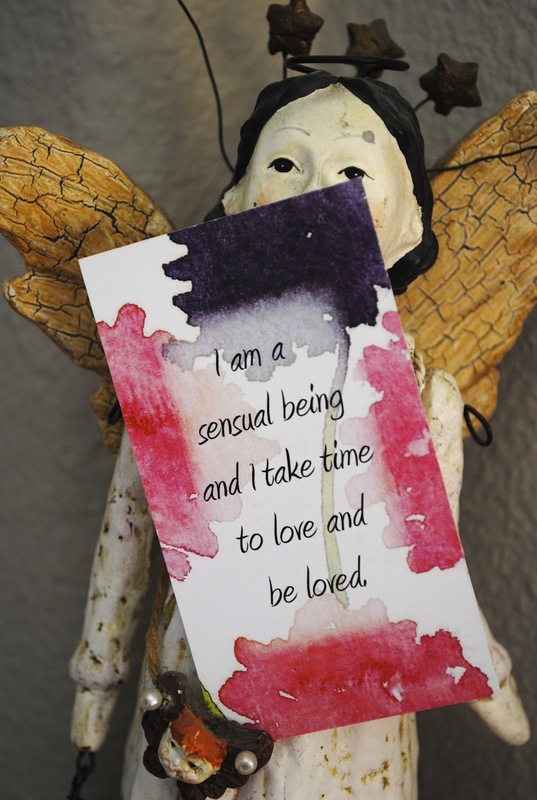 Each card has a message of self-love that will make you feel good about yourself. When you find a card that resonates with you carry it in your purse to look at during the day, or put it in a card holder and display it where you will be working. Make learning fun with your preschooler. Spread the cards out upside down and have your child put together the ones that match. Once together, read what is on the card and ask your child what he / she thinks. If you child can read pick one of the 30 cards each day and talk about it during breakfast, while driving to school, at dinnertime, before bed, etc. "What do you think this card means?" 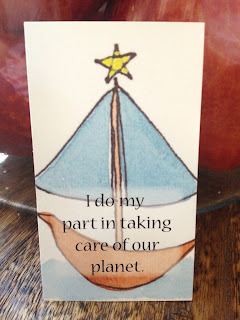 "What do you do to take care of our planet?" "What do we do as a family?" Daily Whisper Cards for kids are focused on family, self, friends and school. The cards teach children to be good people, to care for others, have good manners, respect their parents, be kind to animals and much more. The opportunity for communication using the cards is amazing. You will love what your child says when they share their viewpoint on such simple subjects. You can always put a card on the refrigerator, magnet board, mirror, or nightstand if the card is perfect for the occasion. The Daily Whisper teen deck of cards will be quickly appreciated by some teens and others will poo-poo them. It is our job as parents to incorporate the cards into our teens life. Pertains to me / Pertains to someone I know / Can't relate. As your teen looks at a cards, ask him / her what column it belongs in and why. In doing this, each card will create a jumping off point for a positive and rewarding discussion. Some teens will love these cards. They will respond to each card with their own feelings and concerns. These kids will most likely share the cards with a friend. Encourage them to give cards away to friends in need of some inspiration. 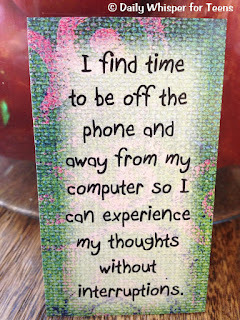 I always recommend posting a card wherever possible so your teen has a constant reminder. You might tape one onto his/her bathroom mirror, hang it on the refrigerator or put it on a stand next to the computer. Another idea is to put a daily whisper in their backpack as a little love note. As you work with your teen you will find a way that they will respond to the daily whisper. 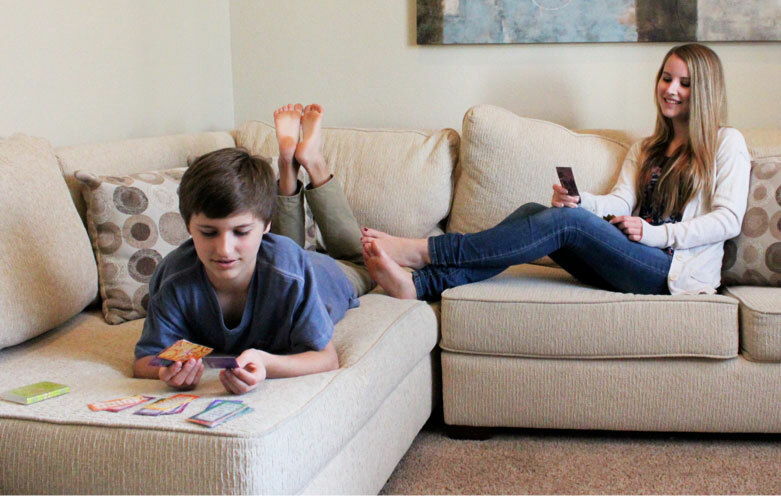 If you find your teen is ignoring your attempts, leave the deck by their bed and let them enjoy the cards in the privacy of their room. The positive messages are irresistible and maybe your teen will prefer some quiet reflection to enjoy the messages alone.